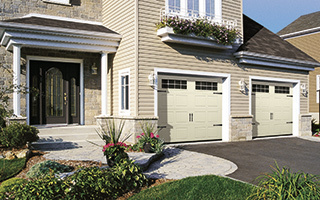 The doors from our Townships Collection reflect one of the most recent architectural trends on the market. 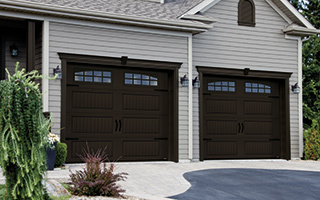 They are crafted using Garaga’s highest standards of quality and are made to last. 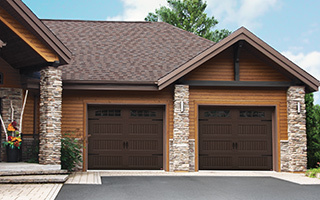 As well as blending charm and elegance, they provide a very high thermal resistance value of R-16. 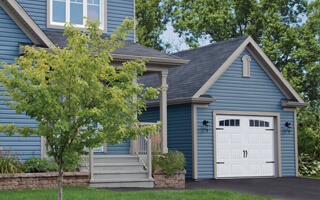 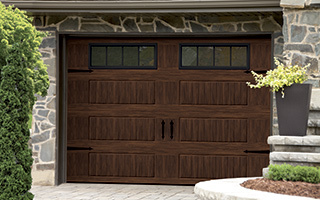 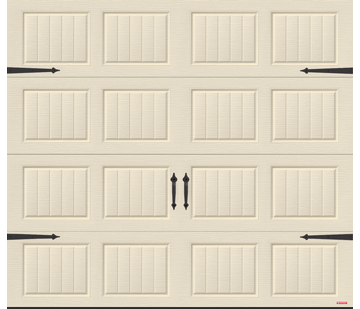 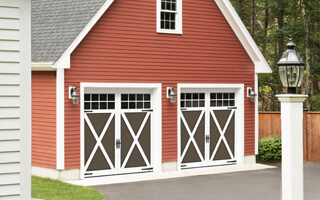 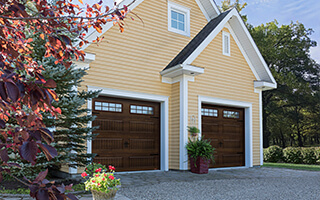 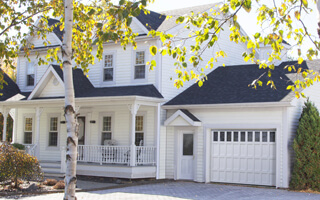 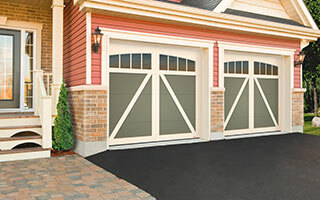 Our Standard+ garage door comes with North Hatley SP, North Hatley LP and Shaker XS carriage-house designs. 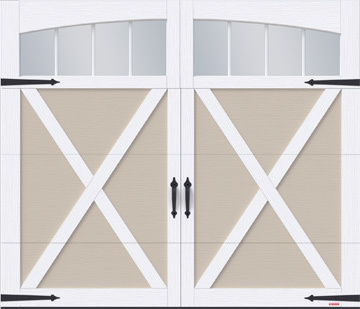 These model patterns reflect the architectural trend of country and carriage-house style homes, blending charm and sophistication. 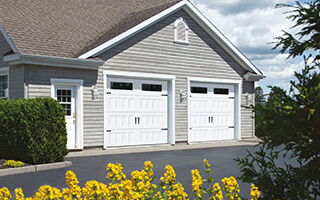 These doors are made to Garaga’s high-quality standards, meaning they will last. 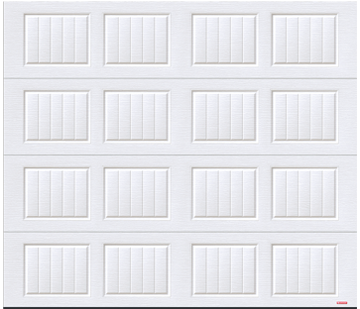 As well, they provide a very high R-16 value of thermal resistance. 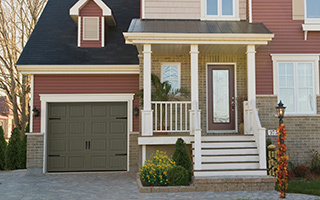 The Acadia 138 door by Garaga, with the North Hatley SP and the North Hatley LP designs, also offers you a thoroughly captivating appearance that is nonetheless refined. 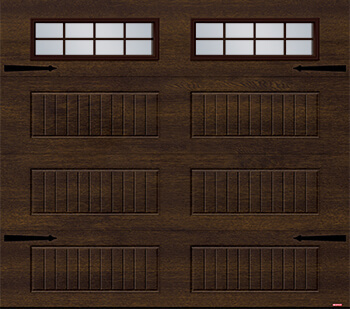 With the addition of windows and decorative hardware, you’ll fall under the spell of this door. 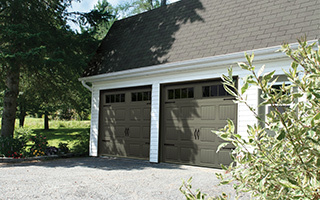 It is crafted from galvanized steel and is injected with polyurethane foam, ensuring a thermal resistance value of R-12. 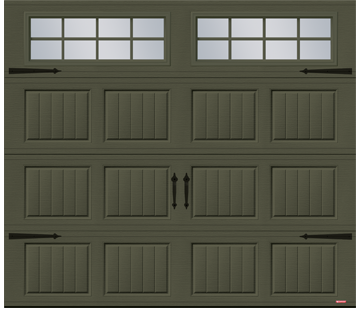 The Triforce is a 2-inch-thick door with 2 steel walls galvanized on each side. 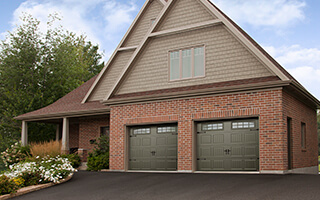 It comes with the carriage-house style North Hatley SP design as well as the Shaker-NH LP design. 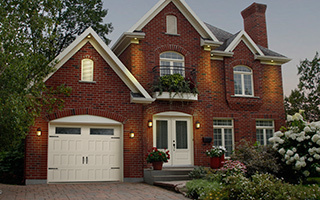 This door model is insulated with a polystyrene panel inserted between the two walls, ensuring a thermal resistance value of R-10. 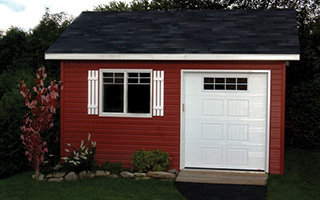 Build to last a long time, the Triforce won’t put a strain on your budget. 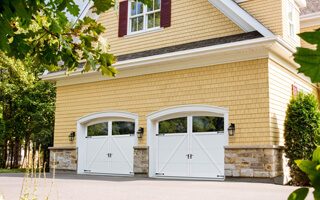 The Dualforce and Uniforce doors, with carriage-house style, are very affordable and well-suited for lightly heated detached garages or for garden sheds. 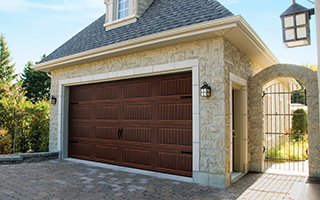 They are crafted in steel, and in the case of the Dualforce, insulated with a sheet of polystyrene yielding an R-6.6 factor of thermal resistance. 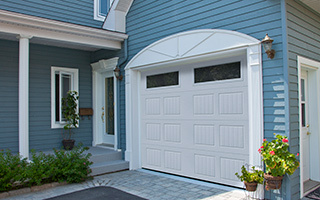 The Uniforce is non-insulated.